Charms are incantations or magic spells, chanted, recited, or written. Used to cure diseases, they can also be a type of medical recipe. Such recipes were often described as charms in their title and linked to a ritualistic form of language intertwined with religion, medicine and magic. The charms of a Middle English manuscript at Trinity College Library, Cambridge (MS O.1.13) bear the hints of the conversion of a pagan ritual into a remedy approved by the Church. They include several Latin formulae uttered during Masses, mention Christ or Saints, and finish with signs of the cross. Effectively, God should remain the supreme doctor, in order to maintain the hegemony of the Church. transference of a disease by a formula or a ceremony to animals or material objects. Looking at manuscript O.1.13, I focus on two sorts of these charms: mystical words or prayers chanted or written, and narrative charms related to sacred or legendary characters who suffered. Payne’s second category of charms is characterized by associations of words or letters to which are attributed occult powers. They constitute magical formulae in Greek, Latin, Hebrew, or Celtic. In MS O.1.13, numerous charms elided with more traditional medical recipes. The mix of Latin and Middle English allows the identification of a charm. 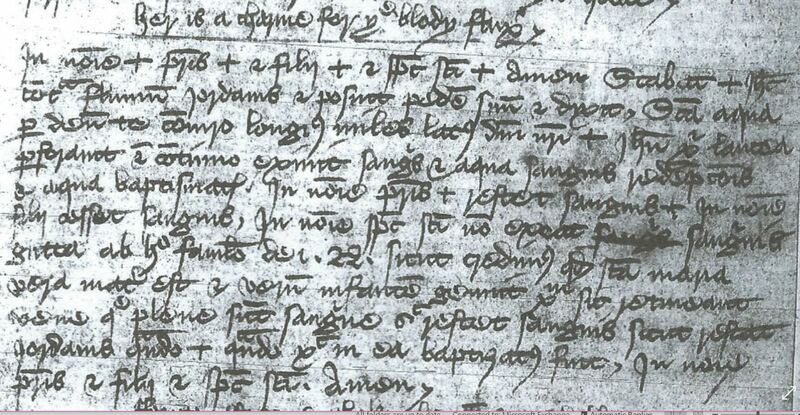 It is through a precise analysis of the medicinal recipes contained in MS O.1.13 that we can identify them. Charms are not always defined as such in their titles. Here is an example of a charm hidden among medical recipes. From MS O.1.13. Credit: The Master and Fellows of Trinity College Library, Cambridge. Take three Hosts and write : ‘Pater est Alpha’ [Father is the first] and one up to one. And make a dot and let the sick man eat it the first day. The second day, write on that other Host : ‘Filius est vita’ [Son is life] and make two dots and give the sick man the Host to eat. And on the third day, write on that other Host : ‘Spiritus Sanctus est remedium’ [the Holy Spirit is the remedy] and make three dots, and give the sick man the Host to eat. And the first day, let the sick man say a ‘Pater Noster’ [Lord’s Prayer] as he eats it. And the second day: two ‘Pater Noster’ as he eats it. And the third day, three ‘Pater Noster’ as he eats it. And the third day, three ‘Pater Noster] and a Credo [Creed]. 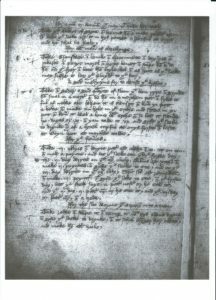 The religious character of the text is important, mixing Middle English and Latin words. Latin was used to gain the approval of Christian religion, as well as to increase the healing power of formulae borrowed from prayers. Here is another example of the second category of charms, in which words and formulae were adressed to the patient or written or applied on his body, as a protective amulet. Take three Hosts and write these words : on the first : l + Helye + Sabaot + (50 + Lord of the Universe +) And in the second : + Adonay + Alpha + and one + Messias. ( God + Alpha + and one + Messiah). In the third : + pastor + agnus+ fons + (shepherd+ lamb+ fountain+). And give the sick man one Host to eat each day, right as the words be written. The first day the firste, the seond day the second, the third day the third, and for each Host that he eats, let the sick man say three Pater Noster and three Ave Maria and Crede. The particularity of these Christian formulae is the fact that they are composed of three parts. The number 3, symbolizing the Holy Trinity, is recurring in this passage. The protection of the patient is thus multiplied. These two charms are also similar to the blessed sacrament, since the patient had to eat Hosts (‘obelyes’) on which were written the prayers or magical formulae, as part of the healing process. Litanies with signs of the cross were not only written by the practitioner, but also probably recited or sung at the patient’s bedside. The patient became an actor in her own healing as she also had to declaim prayers. According to Payne, the fourth category of charms is characterised by the presence of a story extracted from the Bible about the pain or illness of the Christ or one of the Saints. In the next example, the story of Christ’s baptism is depicted in Latin and is a charm dedicated to the healing of bloodshed. It was probably pronounced by the practitioner who was acting on God’s behalf. These incantations were used as a further protection, for either the success of blood letting or other surgical operations, or after the administering of a remedy. Such prayers represented a means to accelerate the healing process, and for the poorest who couldn’t offer any medical assistance, the only way, or hope, to be cured. The distinctive feature of this exampleis the omnipresence of Latin, whereas the title is in Middle English. It is likely that the book’s compiler did not translate the passage on Christ’s baptism. The story about Jesus coming to the Jordan River to be baptized by John the Baptist and having the Holy Spirit appear afterwards as a dove was a famous one. 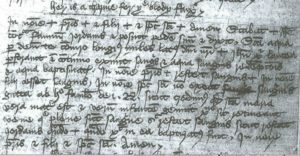 What was most essential for the practitioner was an ability to recognize the illness that the formula could cure, as suggested by the use of Middle English in the title. Even though relying on the power of God or the Saints for healing may strike us as irrational today, medieval people firmly believed in God and occult powers. The profusion of copies of these charms point to the faith of many learned practitioners and patients in the efficiency of the formulae in invoking a higher assistance. All translations from Middle English to Modern English are the author’s own. Definition based on the Merriam-Webster Dictionary online. See also Laura Mitchell, ‘Magic or medicine ? 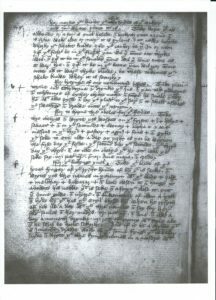 Healing charms in fifteenth-century English recipe collections’ , The Recipes Project, 13/09/2012. J.F. Payne, English Medicine in the Anglo-Saxon Times: The Fitz-Patrick lectures for 1903 (Oxford, 1904), pp. 114-5. 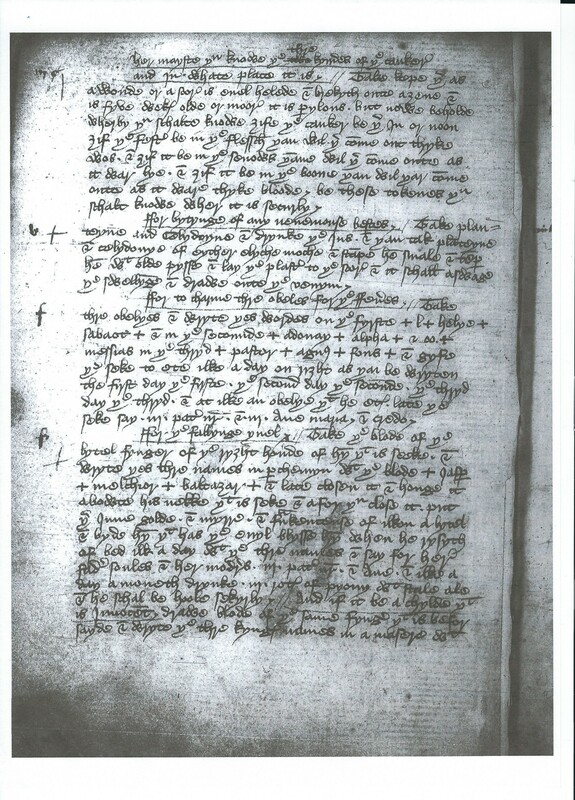 Manuscript O.1.13 is classified by James under the entry Medica. It is a compilation of different books dealing with medical recipes, plants and their vertues, and the influence of planets on the practice of medicine. For more detailed explanations and other variants of this charm, see: Lea Olsan, ‘The Three Good Brothers Charm: Some Historical Points’, Incantatio, An International Journal on Charms, Charmers and Charming, 1 (2011), pp. 58-59. Véronique SOREAU is currently completing her PhD in English and Anglo-Saxon Languages and Literature at the Université de Poitiers and Centre d’Etudes Supérieures de Civilisation Médiévale, entitled : ‘La médecine par les plantes et les étoiles entre le quinzième et le seizième siècle en Angleterre. 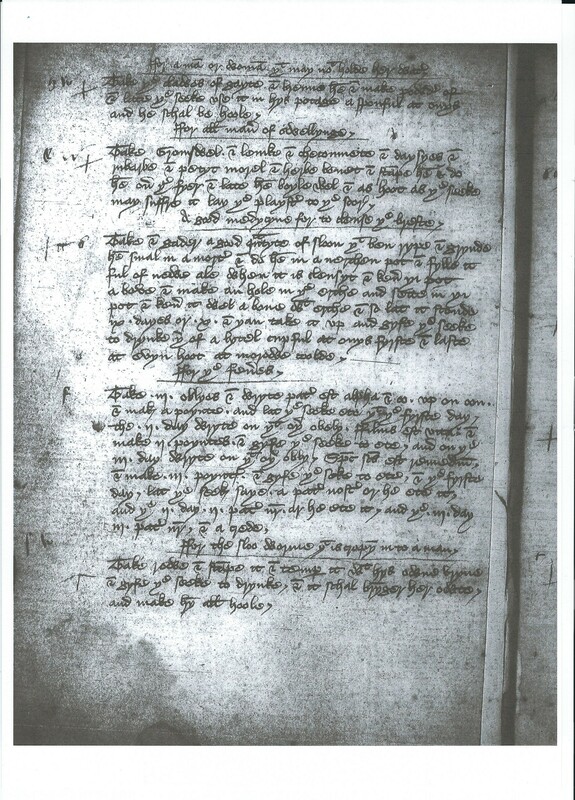 Edition inédite d’une sélection de textes en moyen-anglais de quatre manuscrits situés à Trinity College Library, Cambridge : MSS O.1.13, O.5.26, R.14.32, R.14.51, et commentaires. Deux volumes.’ Her researches focus on the edition of Middle English texts from the fifteenth and sixteenth century dealing with medieval popular medicine, medical recipes, the use of plants in remedies, and astrological medicine. She has published articles, notably in the Bulletin des Anglicistes Médiévistes.